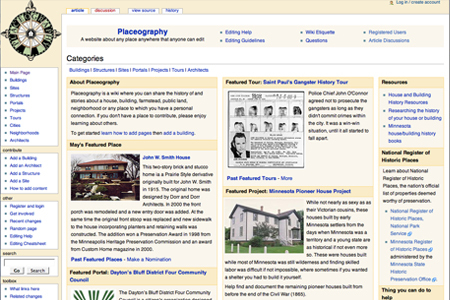 Developed website using semantic wiki with open source software. Set up meetings with neighborhood organizations and historical societies to get them involved as stakeholders. Concepts, information architecture, design, illustration, structure and templates.